Just a bit of drivle. 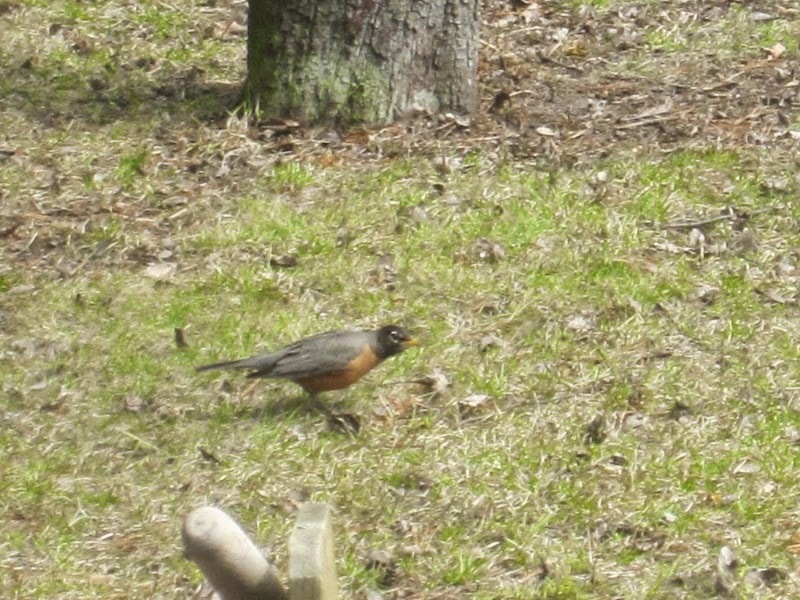 The first robin sighting a couple of days ago. In the centre, just a bit to the right, is a little red speck. Click on the photo to enlarge it. Is this better? My little Canon Elph only zooms in so far. This needs a couple of extra rows. I need to make some mittens and touques. 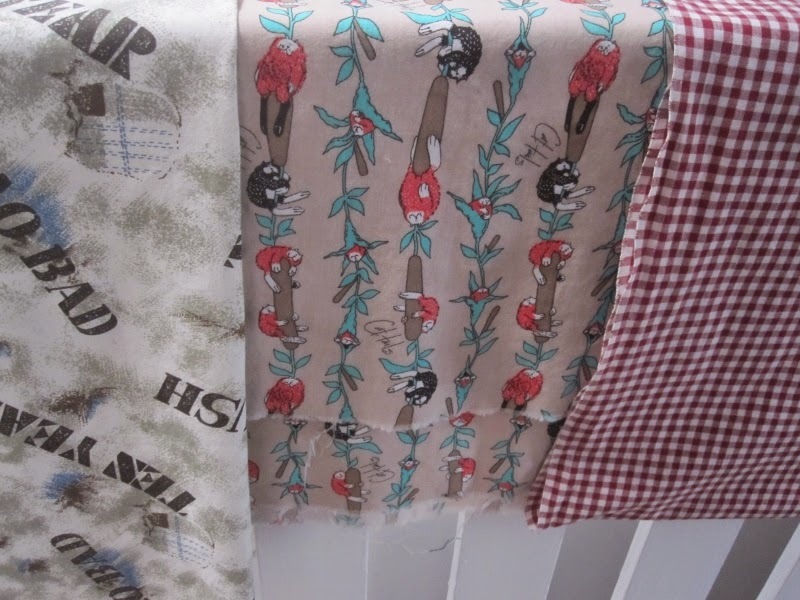 These are some fabrics that I picked out from my stash to make little boys shirts. 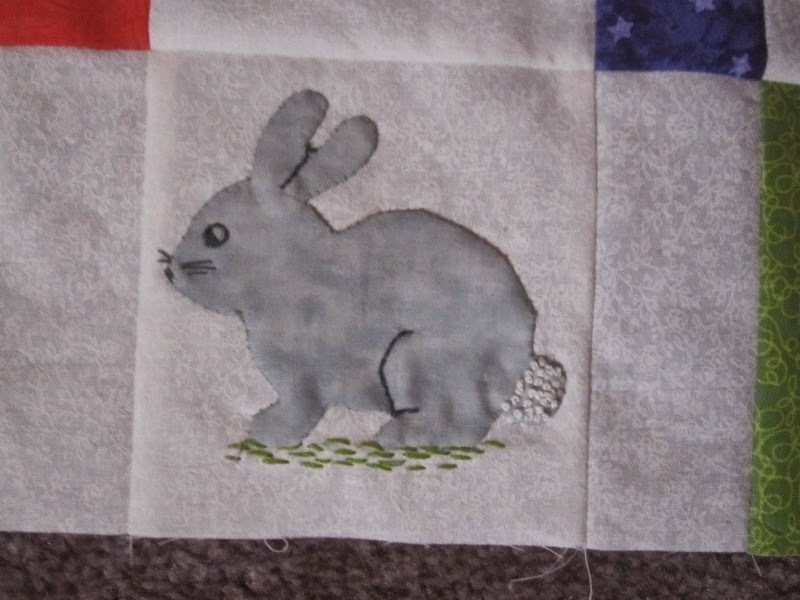 and a little gray bunny. They will show up soon with a couple of friends in a finished project. But for now, that's all. The kitty is the cutest, and more sewing on the way, a red robin must be a good sign. I want to say "aww" because of those little animals. So cute. 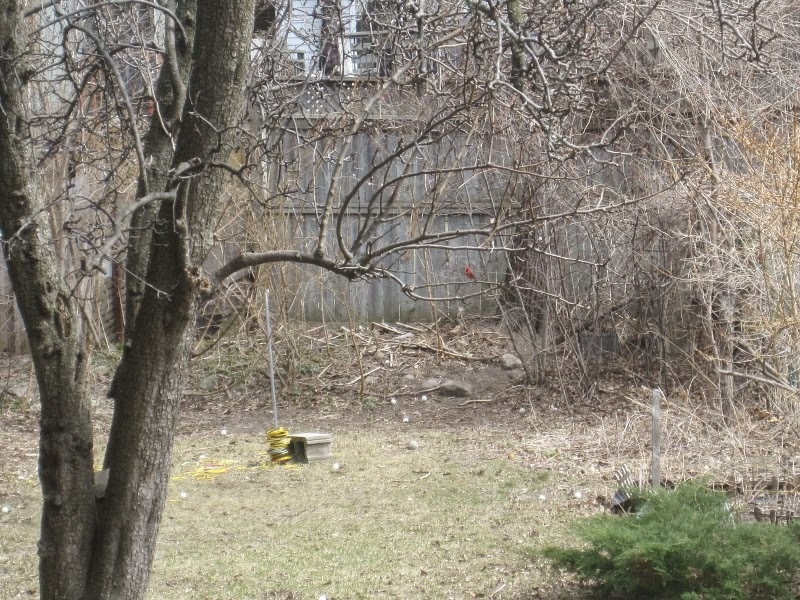 You have some sure signs of spring up your way, too. Have fun with your projects. The robins are just beginning to return here; plus, in the mornings, we can now hear chirping. I like the winter quilt. The cat and bunny are adorable. The boys will enjoy their shirts. Thanks for your recent comment. We did pass through William Lake. It was around two am the town was sleeping. I love your sneak attack photos on your current projects. Great stuff. Our robin came back too last week, but he is a different bird, just wearing the same shirt as yours. 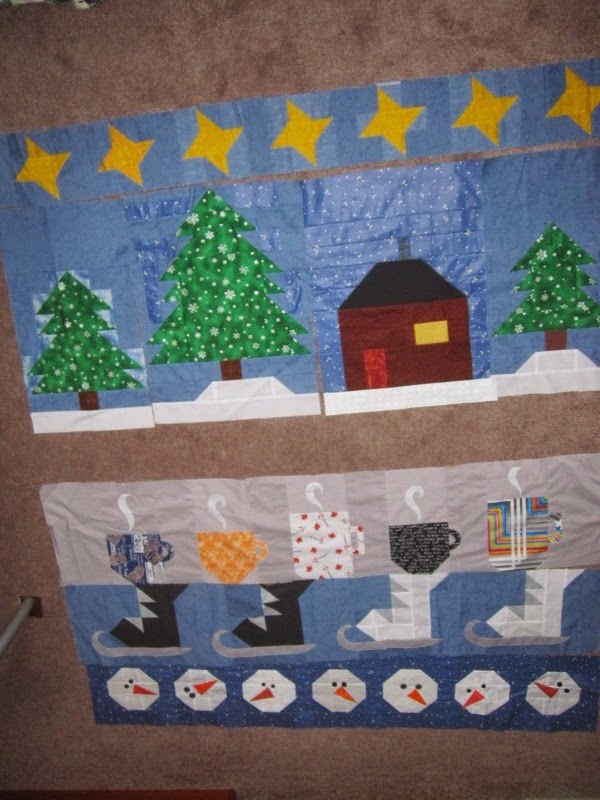 The Winter quilt looks very nice, and the little appliqued animals are so sweet! The boys will look great in their new shirts. I love birds in the garden. 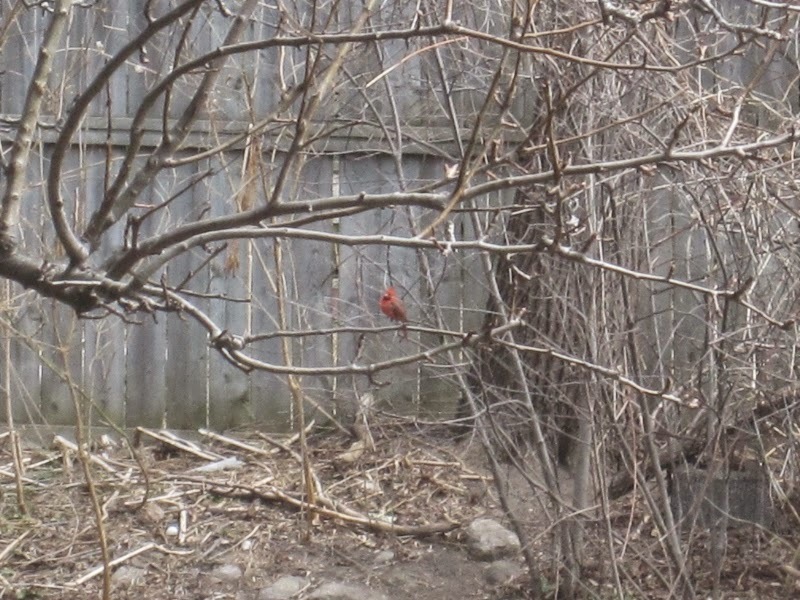 Haven't seen a robin in it yet this spring. I think ours is a winter visitor. You definitely have enough projects on the go to keep from ever getting bored! I've been seeing robins all winter, I'm not sure why the don't go south anymore...I'm loving that the songbirds are back, it makes morning much more fun! 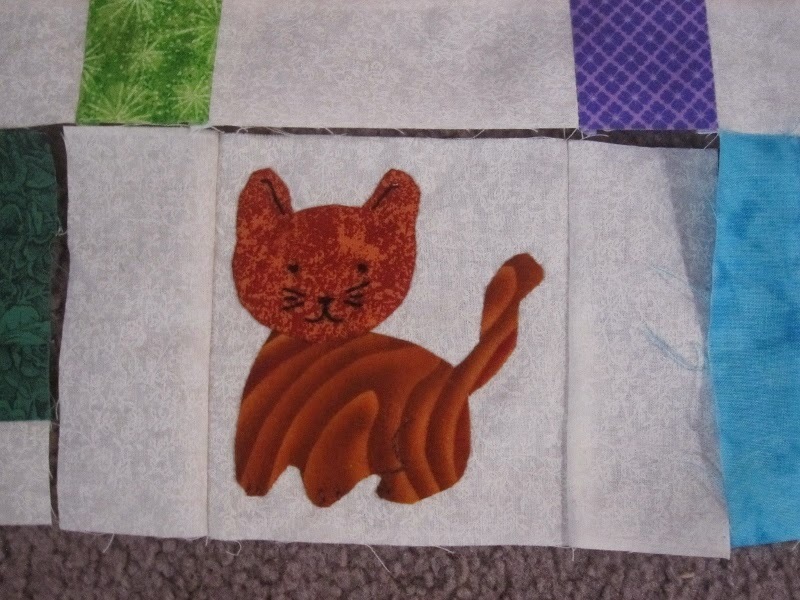 I love your winter quilt, and those little animals are super darling!